CLICK HERE TO CHOOSE YOUR THEME AT NO ADDITIONAL CHARGE (if no theme is selected, a basic XL Funhouse will be delivered). 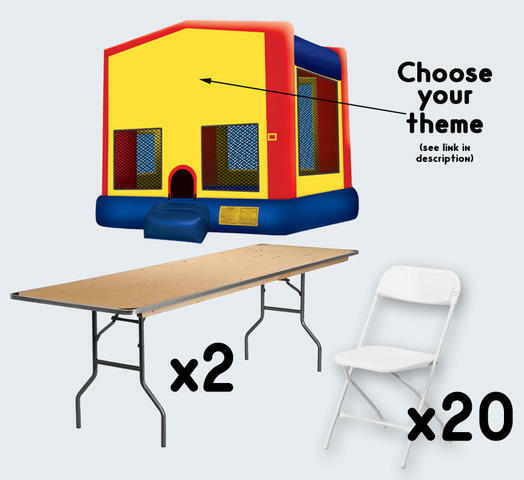 Pricing DOES NOT include setting up tables & chairs. 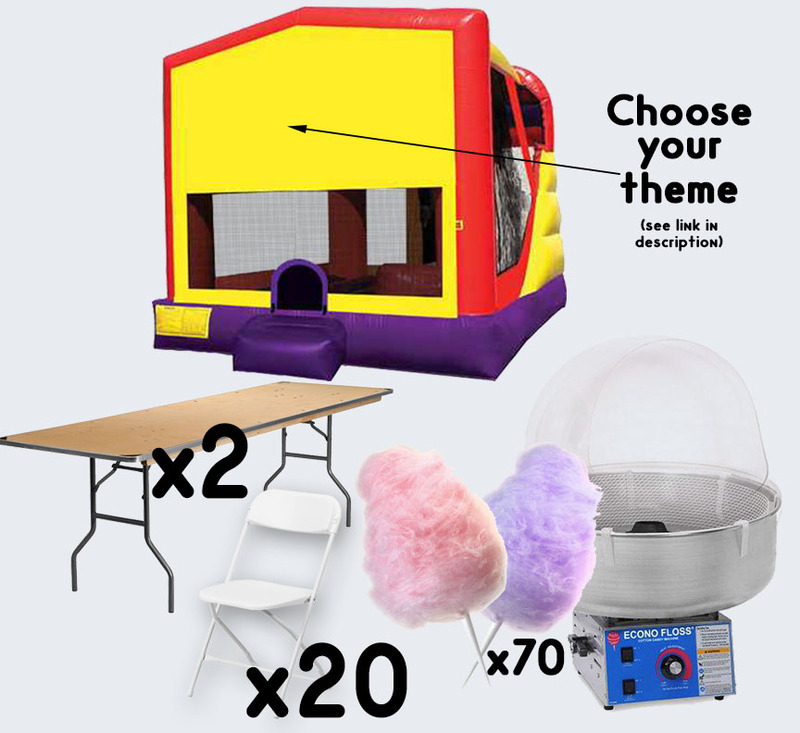 This party package combines three of our most popular items; an extra large 16'x20' 4-in-1 XL Combo featuring a bouncer, climber, slide and basketball hoop, a cotton candy machine with deluxe bubble and adult sized tables & chairs.